This field was over grown with Pine, Multi-floral Rose, Bittersweet, Birch, and Cherry. After mowing it was returned to useable land. We have a John Brown Brontosaurus mower mounted on a Caterpillar 312 tracked excavator that will cut and mulch brush and trees up to 8” in diameter in one operation. 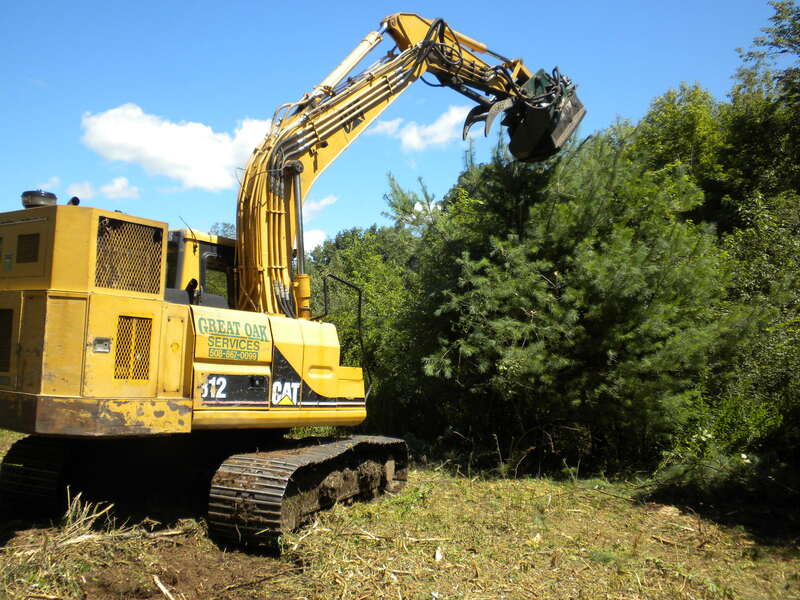 For smaller work, we have a Bobcat T770 rubber tracked machine with a 70’ Davco brush cutter that will cut and mulch grass, brush, and small trees up to 3” in diameter.